Pop artist Andy Warhol said everyone will be famous for 15 minutes. Warhol never anticipated a powerful platform like Twitch, otherwise he’d have said that everyone will have their own Twitch channel. Twitch transformed laptops and tablets into mobile television studios. Twitch combines all the coolest elements of television, social media, gaming, entertainment, and creativity all in one singular platform that anyone on the planet can access at any given time. Twitch instantly connects content creators with a global audience and as a result, top streamers have become superstars and highly-coveted influencers. Twitch is not just for video game geeks anymore. In the last year alone, Twitch expanded their categories to include talk shows, podcasts, travel and outdoors, art, music, comedy, sports and fitness, crafts, cooking, beauty products, or simply… just chatting. The faster the platform grows, the more diverse people start using it to broadcast their own niche areas. In turn, those micro-communities germinate into blossoming subcultures. According to Twitch Tracker, Twitch has 1.2 million concurrent viewers with 55,600 average concurrent live channels. It boasts 4.5 million monthly streamers and viewers are on pace to watch 600 billion minutes of content in 2019. That isn’t limited to English-language streamers. Streams in German, Russian, and Korean have seen exponential growth in the past 12 months. Streamers have become the masters of their own brands. The best streamers have similar qualities in that they are engaging, reliable, and interesting. Most importantly, especially in the gaming world, it helps immensely if they are good at what they do. The best Twitch streamers combine two important aspects: watching the best compete, and learning rules or how to improve their own strategy. “The simple things are the hardest to explain,” Steve Winwood from Traffic once sang. Sometimes it’s impossible to describe the simple things. It’s often easier to just show you how something works. This is the exact reason why gaming streams are so popular. Students and newcomers can immerse themselves into streams and grok everything in an organic process. Of course, the best streamers have the uncanny ability to break down complex situations in simple terms. The online poker realm on Twitch is rapidly growing in popularity because players are always seeking out new ways to improve. The more you watch the best of the best play, the better you will play. Fifteen years ago, poker enthusiasts did not have numerous avenues for poker content. Fans were reliant on DVDs or poker television shows. The World Poker Tour, World Series of Poker, High Stakes Poker, and Poker After Dark were a valuable part of every poker player’s diet. They devoured the shows and watched their favorite episodes multiple times. In the Twitch era, you do not have to wait for Wednesday nights to catch a WPT final table. Pick up the PokerStars Twitch feed or hop on to Spraggy’s channel for a wild ride. Who would want to watch people play video games? There’s at least one million people doing that right now. The activity might be a lo-fi form of entertainment, but in a way it feels natural. When you were a kid, you would sit down and watch your siblings, friends, and neighbors play video games while you patiently waited your turn. It doesn’t matter if you were born into an era that ushered in Atari, Sega, Nintendo, Gameboy, Xbox, mobile gaming, or online poker, everyone had a similar experience with the building anticipation and excitement of having the “next game up”. It’s human nature to be curious, especially about things we don’t know much about. It’s also natural to seek out others with similar interests, especially if those things are not mainstream pursuits. Twitch brings together like-minded people, which is why streamers playing Fortnite, Overwatch, and online poker have become popular daily activities. YouTube vloggers, Twitch streamers, and Instagram influencers are the new rock stars. The most popular content creators on those platforms are the ones shaping youth culture. Twitch went from a quirky streaming service for video game nerds to a bona fide entertainment platform in only a couple of years. Tyler “Ninja” Blevins went from an average esports pro to the most-popular Fortnite player in the world virtually overnight thanks to his Twitch feed. From a marketing perspective, the best commercials are the ones you don’t realize are commercials. Twitch is an amazing platform because if you have a popular brand, you will have a presence 24/7. There will always be someone streaming their latest session of Fortnite, Hearthstone, Counterstrike, or PokerStars. Whenever PokerStars introduces a new game or format, you can hop onto Twitch and get a live demonstration from an authority you trust. Watching 6+ Hold’em on Spraggy or Lex Veldhuis’ stream is good way to learn the rules and basic strategy of short-deck hold’em, while hearing pros talk through the nuances of play. Short-deck is quickly becoming a popular game on the global circuit. Twitch is a new way to accelerate the learning curve on new games. If you do not have a VR headset, then Twitch is also the perfect platform for you to experience what you’re missing. The other day, Spraggy played heads-up poker while Chris Moneymaker provided commentary. For followers without VR headsets, or those had never seen PokerStars VR before, the stream was a perfect product review because you got to experience it in real time. Where are your friend tonight? After a long day, you simply want to kick back and relax. If you are not a football fan or have watched everything in your Netflix queue, you might seek out alternative forms of entertainment. Firing up your favorite Twitch stream is like hanging out with an old friend. You seek out something soothing and familiar, but not something too intense that requires your undivided attention. Background streams are optimal content to play while you eat dinner or play a couple of SNGs. This is the very reason Ninja has so many followers. 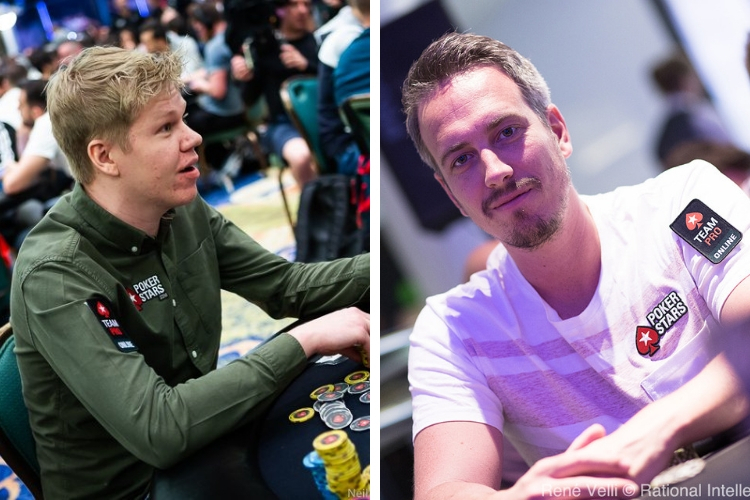 It’s also why poker fans love to sweat Spraggy or Lex Veldhuis. They are excellent at what they do, but maintain a level of professionalism while providing entertaining content and simultaneously engaging with the audience. It is a difficult task to do just one of those well. Yet these Twitch maestros pull off all three with ease.